A Google Voice number is a free service from Google. The service gives you the opportunity to make and receive calls, customize your voicemail, send text messages, read text transcripts of your voicemails, and more. You’ll get a phone number on signing up with Google Voice. That number connects to your devices and can work on your VoIP lines (making it possible to make calls via your PC), mobile phones, work phones, and desk phones. 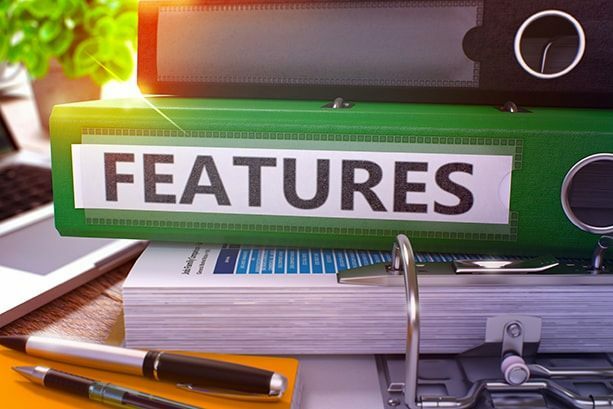 Although you’ll get most Google Voice features for free, it has paid features. Call recording, for example, works on paid accounts only. Note: Google Voice numbers are available to users in the US only. Getting a Google Voice number working takes a similar procedure across devices. 1. If you don’t already have a Google account, go to the Google accounts web page to get a Gmail account. 2. Go to the Google Voice Signup page to follow the process explained below. 3. Click on “Get Google Voice,” and it takes you to “Welcome to Google Voice.” as seen below. 5. On the next page you’ll choose a Google Voice number. 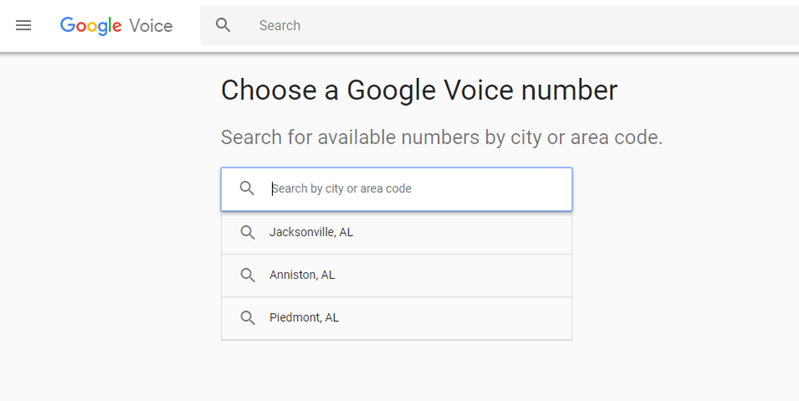 You can find and choose your Google Voice number by entering your desired area code or city. 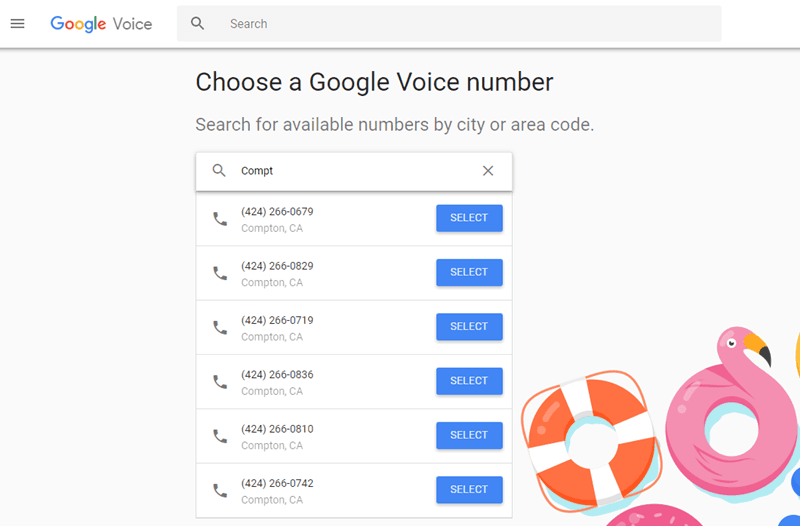 I chose a Google Voice number for Compton, California. 6. Next, you’ll link your Google Voice number to your regular U.S. phone number for verification purposes. 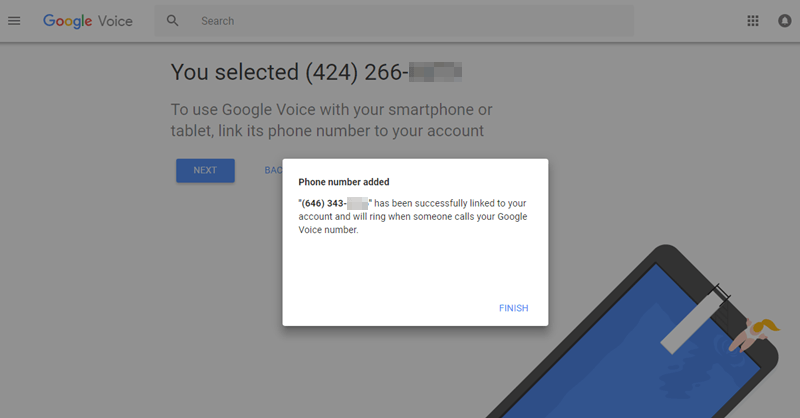 You can now make and receive calls using your Google Voice number. Download the Google Voice app to your smartphone to begin enjoying your Google phone number. If you use an Android platform or the iOS ecosystem, get the most recent Hangouts app. If you use Android, you’ll need one more app, the Hangouts dialer. 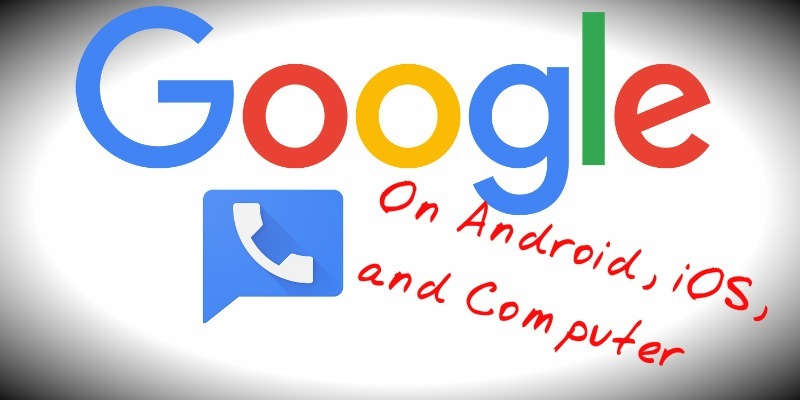 You can use your the Google Voice mobile app or web app to make international and domestic calls in the U.S. Calls in North America (U.S. and Canada) are free for all local and outbound Google Voice calls. However, you’ll have to pay $0.01 per minute if you call from other countries. International call rates vary per country. You can manage your Google Voice account from your iOS devices. For the iPhone you can use a Google Voice for iPhone app. The iPhone app has suffered poor ratings from users. Use the Hangouts app instead of the Google Voice app if you find the iPhone app unpleasant. A Google Voice number gives you plenty of room for customization. You can receive calls from all your phones or specific phones. You can use your device’s data plan to receive calls on Hangouts when you’re not on the web. To receive calls using your data plan, verify costs with your mobile service provider. Google provides (and updates) steps for getting each Google Voice feature to work on your Computer, your Android-enabled devices, and iOS devices. This is a voicemail-only service. It gives users one voicemail for all their mobile phones. This account allows users to add other phone numbers to a Google Voice account, and then to set up features like voicemail transcripts, personalized greetings, and more. Google Voice Lite makes a user’s voicemail work like an email. You can store voicemails in an inbox where they can be accessed online and via mobile phones. Of course, you can always upgrade from Google Voice Lite when you see a need to do so. This account type is specific to Sprint phones. If you use a Sprint phone, you can use that as your Google Phone number and remove the need to have a different phone number from Google Voice. 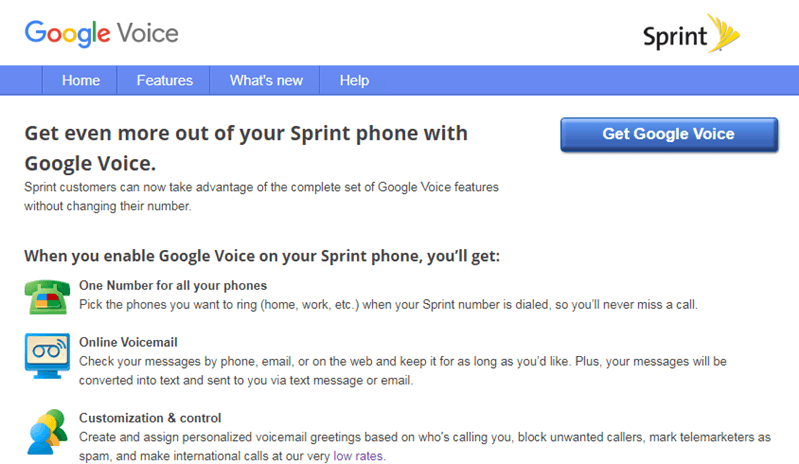 You can also replace your Sprint phone number with your Google Voice number. So if you have a Google Voice number you want to keep, you can do so. You can port your mobile number to Google Voice. Porting your existing number to Google Voice gives you all the customization you need, so you don’t have to get a separate Google Voice number. You’ll have to pay a fee to port your number. For those staying in the US, Google Voice is one that is good for saving costs. Set it up on your device, and leave a comment about your experience with your Google Voice below. I’ve been using Google Voice since it was called Grand Central and Google acquired it. It’s been very good to me over the years and I’d be lost without it. I love that it’s integrated with Sprint, which makes it that much simpler and effective. It’s also great to be able to send and receive phone calls and text messages directly from my computer. If anybody is on the fence, I encourage them to give it a try. You can cancel it if it’s not for you, but it’s incredibly useful and indespensable. Great service! But – Big one “how to ” port out of G Voice, the interface changed some time back. Then all web instruction don’t correspond anymore to what’s there. Least not what I’m seeing. Any helps, possible article for the future – “Porting out of G Voice” ? ?